October... it's coming in all zombies. We could be doomed. Today we've got author C.A. Verstraete here to talk about her book LIZZIE BORDEN, Zombie Hunter. SC: What zombie show/TV series do you like and what makes it rise above the rest for you? CA: I like The Walking Dead, but I’m gonna have to say I really enjoyed watching The Borden Chronicles with Christina Ricci. 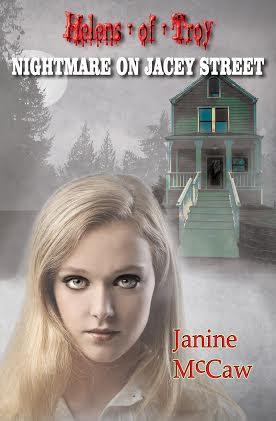 Funny, ghastly, just a great gruesome twist on Lizzie Borden. I liked it so much I got the DVD and can’t wait to watch it again. SC: What is it about zombies and RV's? CA: Captive audience maybe? Strange, murky memories of vacations past? SC: What are you working on next that you'd like to tell our viewers about? CA: I stared a shorter book, more like a novella, set in Lizzie’s hometown. And I’m working on some short Lizzie mysteries until I get to seriously outlining Lizzie Borden, Zombie Hunter 2. Well, that sounds like you've got some serious fun in store for your fans down the line. Thanks for stopping by Supernatural Central, and stop by again when your next release is out.